Click here to go back to the Blessing after the Torah Reading. The word "haftarah" does not mean "half the Torah"! The word is not even related to "Torah." Rather, "haftarah" means "completion." It is the reading from the Prophets section of the Hebrew Bible that is a complement to the weekly Torah portion or that is related to an upcoming or recent holiday. For example, during the week that the Torah portion includes the song that the Israelites sang during the parting of the Red Sea, we read a haftarah from the book of Judges in which the Israelites sing a song rejoicing in the victory of the prophetess Deborah. 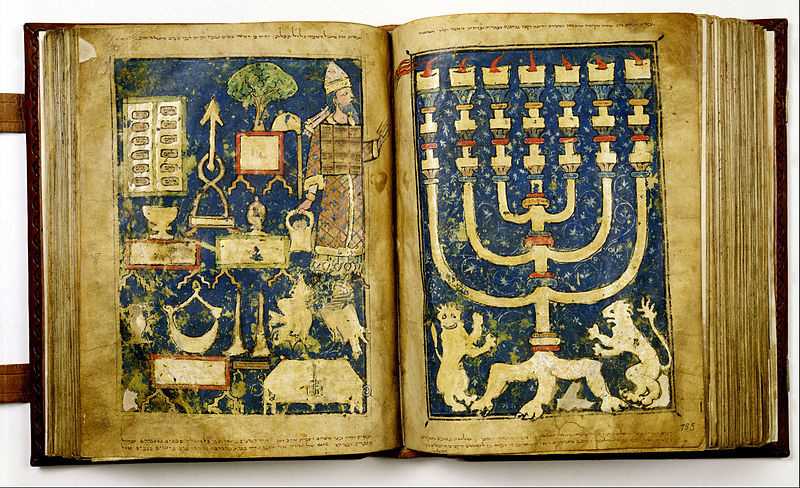 Usually, the haftarah is connected to a theme, an image, or even just a word in the Torah portion. 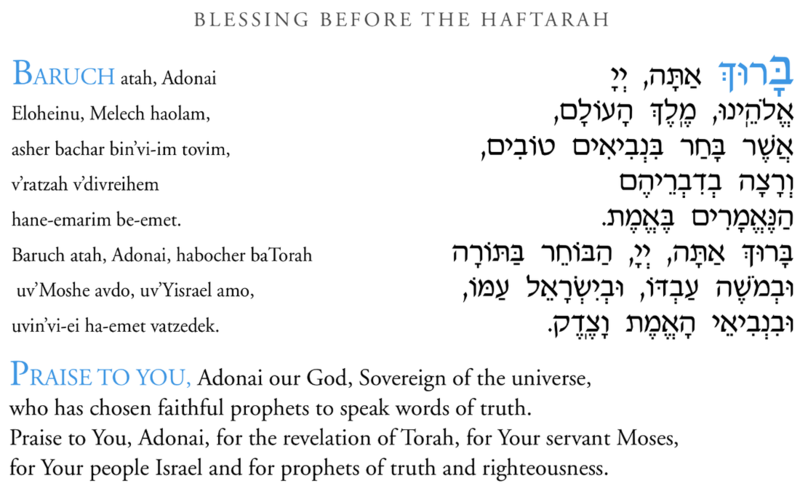 In the blessing before the haftarah reading, we state that we are connecting the words of the Prophets section of the Bible to the Torah. We say, "Blessed are You, Adonai, who chooses the Torah, God's servant Moses, God's people Israel, and the true and righteous prophets."